Experience Gastein mountain romance and lived hospitality in the family-run country hotel Hauserbauer at 1080m above sea level in Dorfgastein. Location of the property Experience pure nature Couples and families in the Landhotel Hauserbauer, 250 meters above the charming Dorfgastein, surrounded by extensive meadows and forests. Romantic paths lead past our house and invite you to hikes. DescriptionWhen entering the house, let yourself be captivated by the cozy smell of wood and the rustic flair with rustic and comfortable full wood furnishings and enjoy your holiday with Austrian hospitality. 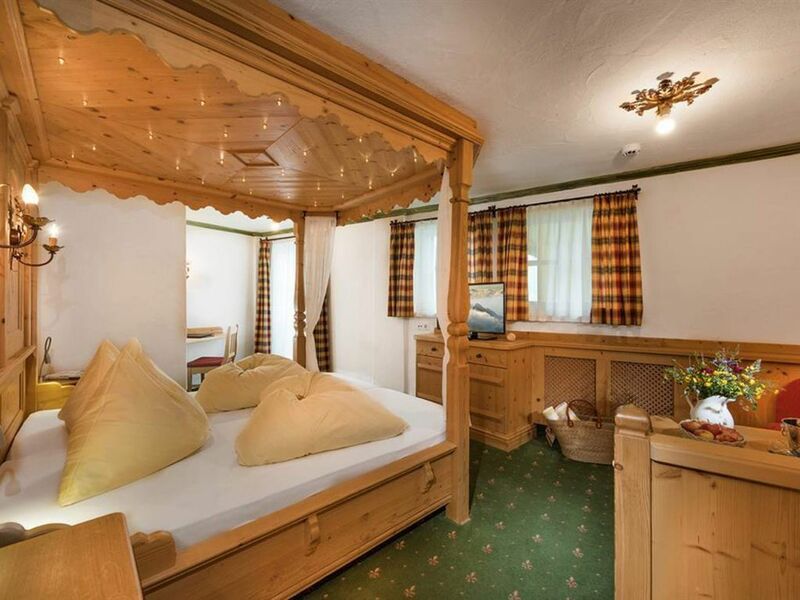 All 25 double rooms and the Alpensuite are Alpine-style with a comfortable seating area and a balcony where you can already enjoy the rising morning sun. With our breakfast buffet with home-made delicacies you start strengthened in your exciting hiking or skiing day in Salzburger Land. After an active day in the Gastein mountains, reward yourself with an apple strudel on the sun terrace, with a wonderful view of the Gastein valley. The host personally cooks exclusively with fresh, local produce and conjures up a charming 3-course menu every day. A break for body and soul can be found in our spa area, where hay bed and waterbed enjoy special popularity. If you want even higher, visit our rustic hut "Gipfelstadl" with panoramic restaurant on Fulseck. Lay your breakfast "up" and enjoy the mountain air at 2033 meters above sea level. Winter in GasteinThe family-friendly ski resort Dorfgastein-Großarltal, part of the ski association Ski Amadé, awaits novice skiers with a sunny practice slope. For all ski enthusiasts there are wide and varied pistes ready, as well as rustic huts, which invite you to stop for a bite to eat. Try a snowshoe wall or enjoy the beautiful winter landscape of Gastein on a leisurely horse-drawn carriage ride. Summer in GasteinThe hiking paradise of the Hohe Tauern starts right on your doorstep. Unforgettable impressions and insider tips are available on the guided bike and hiking tours. If you prefer to do your rounds in the cool water, dive into the solar bath in Dorfgastein. The thermal baths of the Alpentherme Bad Hofgastein await you with a warm 33 degrees. The Rohrmoser family is pleased to pamper you in the Landhotel Hauserbauer!